I give them a 5 star rating. I am very satisfied with their work and their service. I have used them for more than 20 years and would highly recommend their service. I leave knowing I can trust their work. Tony, Sergio and the mechanics are always awesome to deal with. Work has always been great quality and done professionally. Iâll continue to visit this location and recommend them to anyone looking for a new shop. Very friendly service and attentive to customer needs. We have been bringing our 4 family vehicles to Tony and Sergio since 2002. 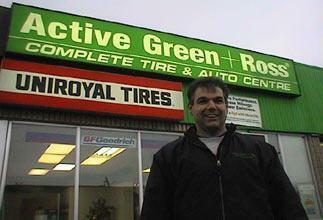 They are honest, reliable, friendly and repairs are done on a timely basis. This shop is our go to for all our vehicles. Wouldnât go anywhere else!